Alateen is part of Al-Anon, which helps families and friends of alcoholics recover from the effects of living with the problem drinking of a relative or friend. Alateen is our recovery program for young people. Alateen groups are sponsored by Al-Anon members. Our program of recovery is adapted from Alcoholics Anonymous and is based upon the Twelve Steps, Twelve Traditions, and the Twelve Concepts of Service. The only requirement of membership is that there be a problem of alcoholism in a relative or friend. Al-Anon/Alateen is not affiliated with any other organization or outside entity. Alateens are WELCOME at ALL Al-Anon meetings! This form is required for all Alateen members to participate in any Area Al-Anon / Alateen activity including Serenity Weekend and Area Assemblies. See the Calendar tab for Area Assembly information. Alateen Serenity Weekend April 26-28, 2019. 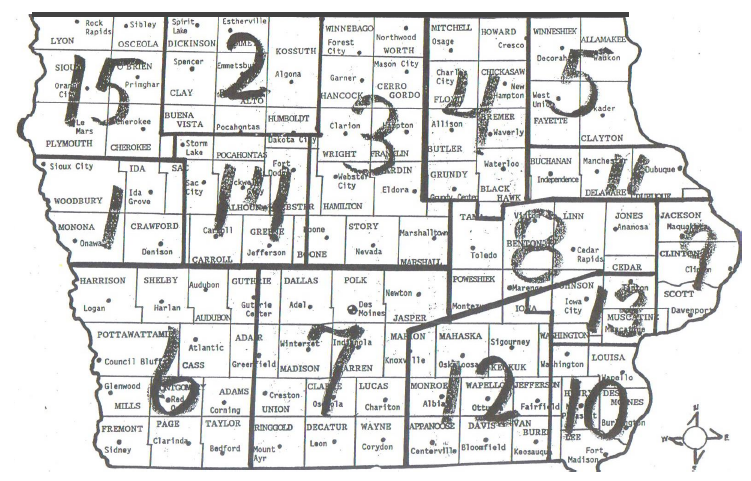 Iowa is divided into 15 districts. Open the map to find which District you are in.